Whether you’ve been dating for six months or six years, the decision to move in together is a big one. There are many considerations involved, too. Will one of you move in with the other, or will you pick a brand new place together? How will you split the chores? Who is responsible for tracking bills? 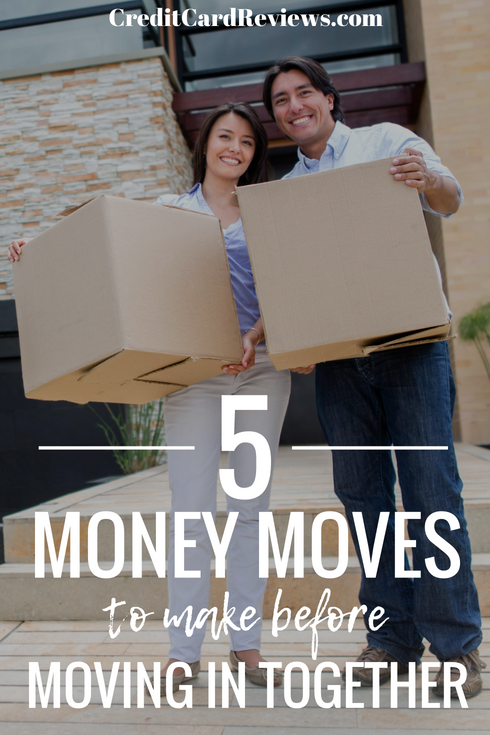 Before you ever start packing up boxes, though, there are a few key money moves that you both need to make. Not only will they protect your interests (should things ever head south), but you’ll also give your relationship the strong financial foundation it will need moving forward. Have “The Talk.” No, not that talk… the money talk. Long before you even think about signing a lease or moving into the other’s house, you need to sit down and establish a financial baseline. Ensuring that you and your partner are on the same page money-wise is beyond important. It’s okay if you don’t have the exact same feelings or habits about money – in fact, there is typically a “saver” and a “spender” in each relationship – but you do need to have the same financial values and general goals. Sit down and talk about your plans for the future. Would you like to buy a home in the next few years and, if so, how do you plan to save up for the down payment? Is one of you a master budgeter while the other barely pays rent on time each month? It’s also important to be open and honest about your current financial situation. Talk about how much you make, what you currently spend each month, how much you expect/can afford to spend moving forward, whether either of you is currently in debt, and what your money goals are in the near future. This will ensure that you don’t get yourself further tangled up with someone who is on an entirely different page than you… or who could wreck your savings/credit. (Successfully) Manage Your Own Budget. Learning to handle money with a significant other can be tricky. It’s no wonder that money is the number one cause of marital spats, after all! If you want to mitigate this risk and set the stage for a more successful cohabitation, you should first get your own financial affairs in order. This means managing your own budget, and doing so successfully. Sit down and figure out exactly how much you bring in each month and subtract your inflexible expenses (such as student loan payments, car payments, and rent). Then, figure out how much you are spending on utilities, groceries and gas, and personal spending. Trim the fat where you can, use a rewards-earning credit card to get cash back, and make sure that you’re tucking enough away in savings each month. Then, and only then, can you begin to navigate finances with someone else (who will have their own quirks, pitfalls, and habits). Bonus: This will help you know whether you can really, truly afford that new place the two of you are eyeing! Establish Emergency Savings. Speaking of savings: one of the easiest ways to sabotage yourself is to move in with someone else without a safety net. Of course, none of us wants to think about the worst-case scenario. After all, you’re moving in with your significant other because things are probably going really well and you are ready to take that next big step. Your outlook is positive; why think about the bad things that will never happen? Well, because the simple truth is: the can happen, and they often do. Even when we least expect it. Before you move into a new place with someone, you need to have a backup plan. This is especially true if marriage isn’t on the immediate horizon. A backup plan most often means a savings account that you can tap into for unexpected expenses, such as the security deposit on a new apartment. Being prepared for the worst doesn’t mean that you’re planning on it happening, or that you’re going to jinx your relationship. It’s simply caring about yourself enough to be able to get out of a situation if things go downhill. Make It Legal. Sometimes, it seems easier to put everything in one person’s name when you’re moving in together. Maybe one of you has better credit than the other, or it’s just simple to have one of you sign all the paperwork. This can be a bad idea for you financially, though, as well as for your credit. If everything is in the other person’s name and the relationship goes belly-up, you could be left scrambling for a place to live. If only one person is on the lease, you don’t have any right to stay in the home if they ask you to leave. Things can get ugly in a break-up, but making sure that you have a legal right to the property ensures that you’re not out on the street without warning. Putting everything in your name can be dicey, too. If your significant other loses their job or just decides to gamble their paycheck away, it’s your credit that will take the hit for late payments. If they decide to move out and stop paying their share of the rent (or electric bill, or cable bill, or…), it’s much better to share legal responsibility for the lease and all related expenses. Keep Money Separate. You’re moving in together. You plan to stay together. You might even be engaged or just around the corner from a wedding. Unless you’ve signed on the dotted line of that marriage certificate, though, you should really, really reconsider combining finances. At least, don’t do it just yet. Once you begin sharing a bank account and mixing your finances, it can be very difficult to separate them back out. If you’re married, there are standards in place and a legal process that will help you navigate the specifics. If you’re simply dating (or even engaged) and things suddenly sour? It can be very tricky to get back what is yours, and your legal recourse is incredibly limited. Even if your relationship is going great and you’re on the path to a lifetime together, hold off on combining funds just yet. If you really need something joint, consider opening up a household checking account in both names that you can use to pay the bills for your new cohabitating arrangement. Moving in together is a huge step in your relationship, and one that you’re probably not taking lightly. Congratulations on such an exciting move! 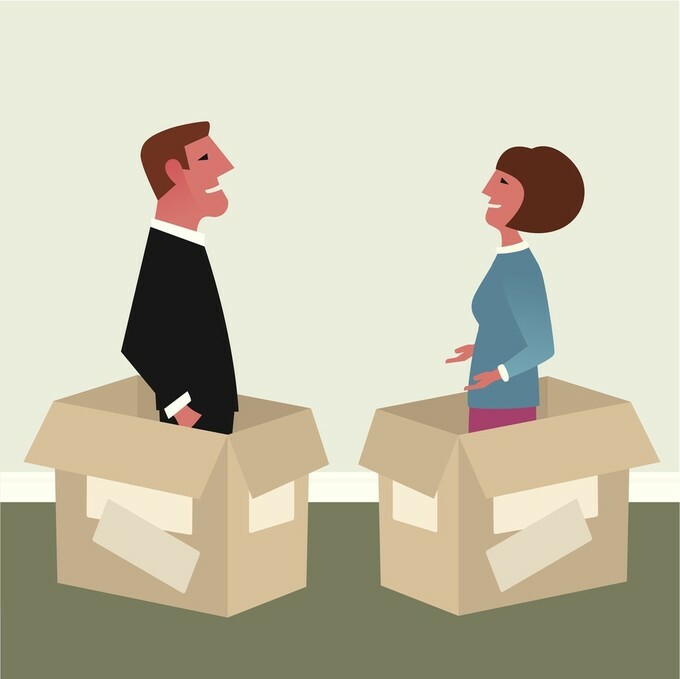 Living under the same roof and sharing expenses can exacerbate some problems, though, and even married couples fight over finances frequently. By making these five moves before you ever load a moving truck, though, you can help head off some of these issues before they even arise.